John Reid pursued parallel military and musical careers. At the time of publication of this march he was a colonel, in the 95th regiment. He ultimately rose to the rank of General, and left a substantial bequest to endow a professorship in the University of Edinburgh. 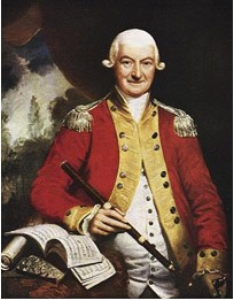 John Reid was colonel in the 95th regiment from its formation in July, 1779 until its disbandment in May 1783. During this period he was promoted to General. The regiment took part in the siege of Jersey, 1781.